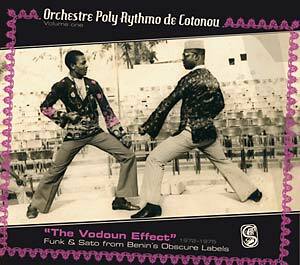 ...Funk & Sato From Benin's Obscure Labels 1972-1975. Following the highly-acclaimed African Scream Contest: Raw & Psychedelic Afro Sounds from Benin & Togo '70s -- which featured several tracks by Orchestre Poly-Rythmo de Cotonou, including the ground-breaking "Gbeti Madjro" -- this new Analog Africa collection now focuses entirely on Orchestre Poly-Rythmo. 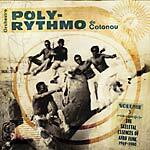 Orchestre Poly-Rythmo de Cotonou is arguably West Africa's best-kept secret. Their output, both in quantity and quality, was astonishing. During several trips to Benin, label-head Samy Ben Redjeb managed to collect roughly 500 songs which Orchestre Poly-Rythmo de Cotonou had recorded between 1970 and 1983. With so much material to choose from, he decided to split it into Volume 1 and 2. While Volume 2 will be material the band recorded under an exclusive contract with the label Albarika Store, the band also "secretly" recorded with an array of smaller labels based around Cotonou, Benin's largest city, and the capital city of Porto Novo. It is those tracks (all officially licensed) that are presented here on Volume One. The producers of those labels were genuine music enthusiasts, some of them ran these labels as a part-time occupation, with very limited budgets. 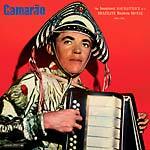 They couldn't afford high-quality recordings -- all they had to work with was a Nagra (a Swiss made reel-to-reel recorder) and a sound engineer -- courtesy of the national radio station. These sessions were recorded in private homes using just one or two microphones. The cultural and spiritual riches of traditional Beninese music had an immense impact on the sound of Benin's modern music. Benin is the birthplace of Vodun (also Vodoun, or, as it is known in the West, Voodoo), a religion which involves the worship of some 250 sacred divinities. The rituals used to pay tributes to those divinities are always backed by music. The majority of the complex poly-rhythms of the Vodun are still more or less secret and difficult to decipher, even for an accomplished musician. Two Vodun rhythms dominate the music of Orchestre Poly-Rythmo: Sato, an amazing, energetic rhythm performed using an immense vertical drum, and Sakpata, a rhythm dedicated to the divinity who protects people from smallpox. 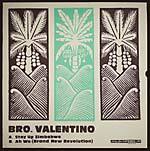 Both rhythms are represented here mixed in with funk, soul, crazy organ sounds and psychedelic guitar riffs. In the 44-page booklet, full of rare photographs and record covers, Analog Africa introduces three important producers who were collectively responsible for some of the most amazing music released in Benin: Gratien K. Aissy, of the Echos Sonores du Dahomey label, Bernard Dohounzo, of Disques Tropiques, Lawani Affissoulayi, of Aux Ecoutes, the label behind El Rego & Ses Commandos' fame, as well as an encounter in Niamey with Honliasso Barnabé, Poly-Rythmo's producer in Niger. Samy Ben Redjeb also interviewed Vincent Ahehehinnou, the man responsible for composing some of the funkiest stuff ever to come out of Benin, and Kineffo Michel, the sound engineer of Poly-Rythmo's legendary Nagra "home" recordings. None of these tracks (except one -- track 14) have been distributed outside Benin before. Because of financial considerations, most, if not all, of these recordings had very limited pressings that rarely exceeded 1000 copies total and many labels rarely produced more than 500 copies of any given record. 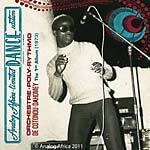 The music on this compilation is not only rare, but illustrates how Orchestre Poly-Rythmo, with the support of a number of local record labels, thrived by mixing the coolest parts of funk, soul, Latin and vodun rhythms into a new sound that not only reflected the musical culture and heritage of Benin, but also transformed it and turned the small country into such an incredible musical melting pot. Packaged in a super deluxe slipcase, with a large 44-page illustrated booklet.